Considering the recent food-borne illness outbreaks linked to Chipotle and Costco and news almost every week about another recall involving staples like ground beef, turkey bacon, and even a Trader Joe’s product, there’s good reason to be a tad more conscious about what you’re biting into. Granted, it’s still pretty rare to pick up an E. coli infection after pounding a fast food burrito, but there are plenty of foods that, despite being delicious, present a greater risk of getting you sick than others. In fact, Bill Marler, a noted food-poisoning expert and attorney, recently published a list of six foods he refuses to eat based on his experiences dealing with food-borne illness cases, according to a report by Business Insider. He said they're just not worth the risks. Marler is the kind of guy who orders his burgers and steaks (depending on how they're prepared) well-done. As he explains in the article, “The reason ground products are more problematic and need to be cooked more thoroughly is that any bacteria that’s on the surface of the meat can be ground inside of it. If it’s not cooked thoroughly to 160°F throughout, it can cause poisoning by E. coli and salmonella and other bacterial illnesses.” Sure. Doesn't mean it tastes good. Just like rare meat, this one is a no-brainer. Marler points to a recent increase in food-borne illness linked to oysters and other shellfish, which he attributes to warming waters where they're fished. "I’ve seen a lot more of that over the last five years than I saw in the last 20 years," he said. "It’s simply not worth the risk.” OK, but try telling us that while sitting near the water with a bucket of beers and see how that goes. Looking back at the salmonella outbreaks associated with raw and undercook eggs over the last few decades, Marler said he only eats eggs that are fully cooked. This is particularly sad because cookie dough. Sure, the convenience of not having to wash and chop your vegetables and fruits is nice, but Marler argues that all of the additional processes they're exposed to before they actually hit your plate just increases the risk of being exposed to contaminants. For that reason, he said, "I avoid these like the plague." 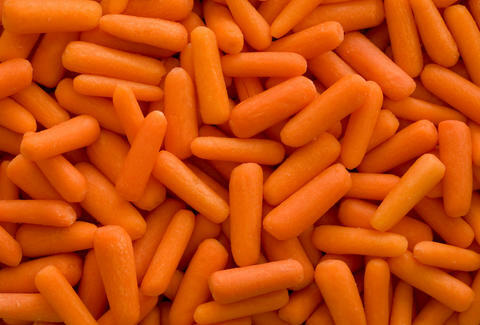 Meanwhile, you probably avoid chopping your own carrots like the plague. To each his own. Uncooked sprouts -- like alfalfa, clover, and radish sprouts -- have been linked to dozens of bacteria outbreaks in the last few decades. Out of an abundance of caution, and probably a sprinkle of paranoia, Marler said he doesn't eat them at all. We just don't eat them because they're, well, sprouts. For Marler, the risk of getting sick from drinking "raw" unpasteurized milk and packaged juices (which could be contaminated with bacteria and other parasites) simply outweighs any health benefits they could provide. Again, no big surprises here. But man, this guy's diet must be boring. Tony Merevick is News Editor at Thrillist and you'll have to try harder than that to make him stop eating oysters. Mmm. Send news tips to news@thrillist.com and follow him on Twitter @tonymerevick.